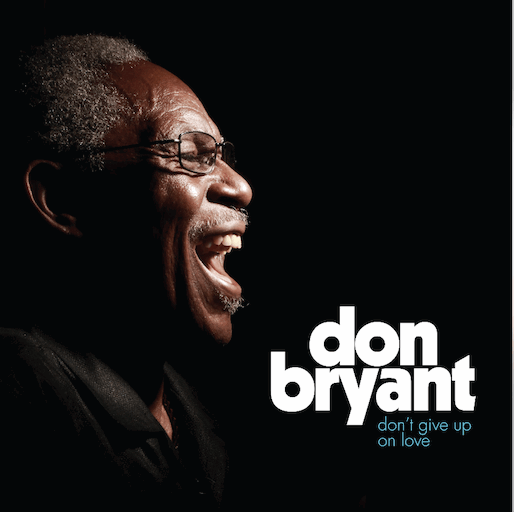 Before the release of Don’t Give Up on Love, Don Bryant had cemented his place as a footnote in soul music history, enjoying his greatest success as a songwriter. He placed “I Got to Know” with the “5” Royales in 1960, when the trailblazing R&B group (originators of “Dedicated to the One I Love”) was on the downward slide. In the ‘70s he collaborated with Ann Peebles, who became his wife; one of the songs they composed together was her classic “I Can’t Stand the Rain.” Bryant’s own recordings for Hi Records in the second half of the ‘60s were the product of a competent, not particularly distinctive singer, who drew on Joe Tex, Otis Redding and Wilson Pickett for inspiration and scored no hits. Apparently, honorable obscurity wasn’t enough for the Memphis native, who has returned at age 74 with a killer album that marks him as a rising star. Though rich with references to the past and drawing on the timeless Hi work of his mentor, Willie Mitchell, with Al Green, Don’t Give Up on Love feels improbably fresh, suggesting one of those outlandish Hollywood fantasies in which the hero gets a do-over of his life. Frisky and loose, Bryant displays the headlong confidence of a much younger man, perhaps because he never risked vocal burnout from the steady touring chart singles can engender. There’s a vibrant, churchy vibe throughout, from a rousing update of O.V. Wright’s Mitchell-produced lament “A Nickel and a Nail,” to the uplifting, self-penned “How Do I Get There?,” with an exciting call-and-response chorus that evokes a revival meeting and begs for a Mavis Staples cover, though even she couldn’t surpass Bryant’s ecstatic abandon. The echoes of Hi history make sense, given Bryant’s résumé and the presence of Hi Rhythm Section vets Charles Hodges (organ), Archie “Hubbie” Turner (keys) and Howard Grimes (drums), but there’s nary a whiff of musty nostalgia. Kudos to the production by Scott Bomar, who also plays bass, and Bruce Watson, which gives plenty of space to whomping beats, wistful organ and tender horns that reference Green and Peebles while permitting other approaches, too. Bryant’s smoking take on “I Got to Know” matches the swinging verve of the Royales’ 45; the exhilarating “Something About You” and “What Kind of Love” stake out funk territory not far from James Brown and Cameo. Don’t Give Up on Love is a joyous miracle, and hopefully not the last one to come from this remarkable “newcomer.” Whatever Don Bryant’s been taking, we could all use a dose.